Shot Lister by Reel Apps Inc. Shot Lister is the only truly professional shot list & scheduling app. Take that crumbled piece of paper out of your back pocket & touch the digital future of shot listing. 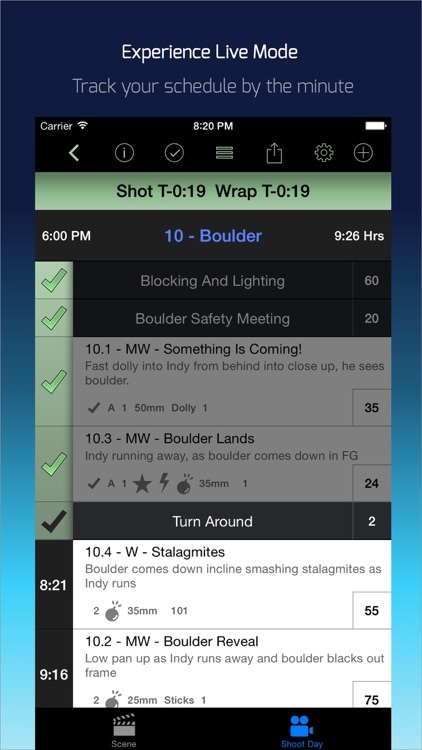 Shot Lister revolutionizes the art of shot listing from pre-production to the minute by minute decisions on set. 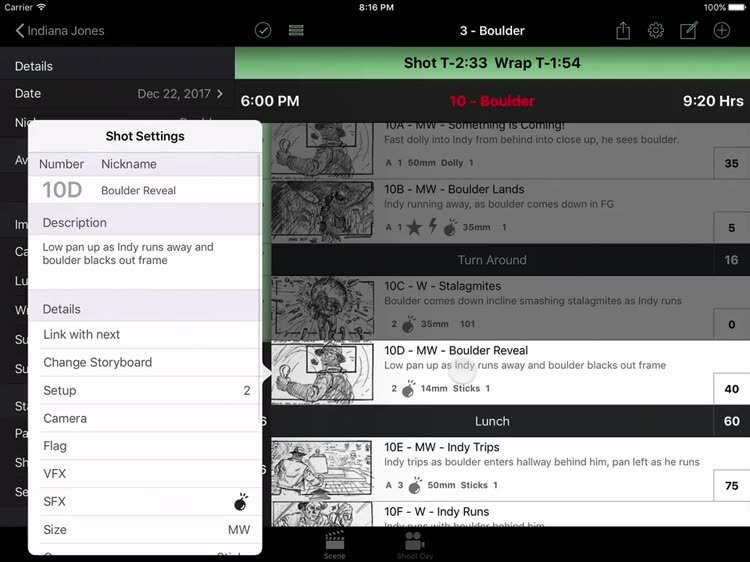 It's designed by experienced filmmakers to deliver the only solution that can build, organize, schedule & share shot lists & shooting schedules digitally. Shooting a film never goes to plan, now instead of scribbling over your printed out spreadsheet, you can get back on track with a flick of a finger. SHOT LISTER which is more than capable of handling most indie productions & includes the ability to add hundreds of scenes & thousands of shots, customizable categories & multi-cam support. This is a one time purchase of $13.99US & all updates are free. SHOT LISTER PRO is for more complex productions that require specific features.. 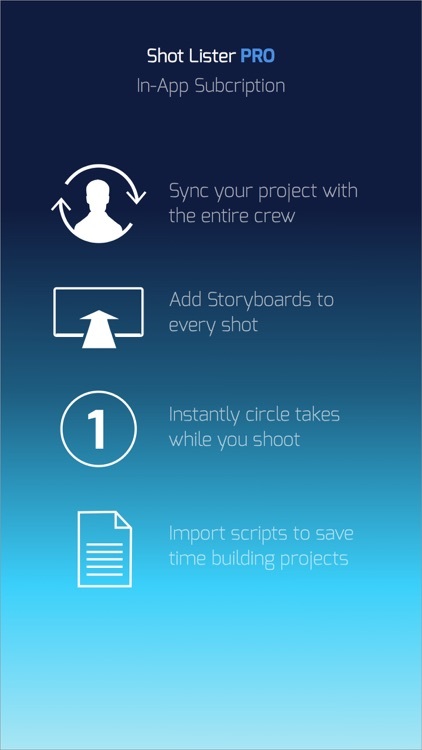 These include the ability to import scripts, add storyboards, circle takes & sync files. 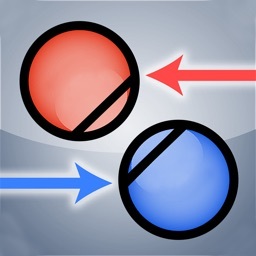 PRO is an optional in-app purchase with an annual subscription fee of $13.99US. The subscription gives you access to the features below marked (PRO). The subscription is charged to your Apple ID, and automatically renews annually. The subscription can be canceled up to 24 hours before the renewal date in your Apple ID settings. 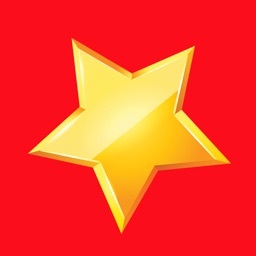 Subscribers really help bring new features much sooner to both Shot Lister & Shot Lister Pro. 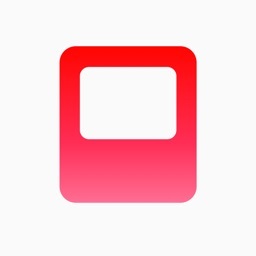 Shot Lister is designed to look great on all iOS tablet and handheld devices! 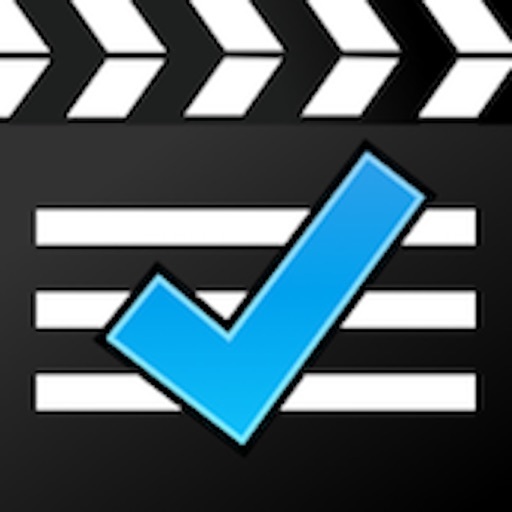 Easily organize & store hundreds of scenes & thousands of shots with the flick of a finger. We support scene letter revisions, 1/8 page counts, "i" and "o" exclusion & cast breakdown tracking. All to fit a variety of professional workflows. 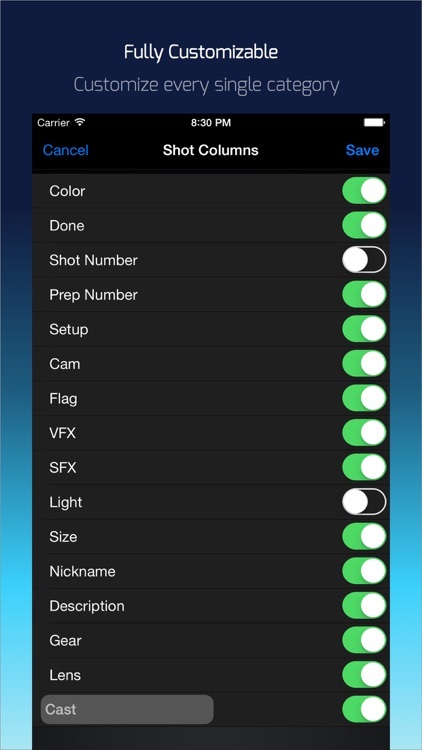 The only software available to easily create a shooting schedule on a shot by shot & minute by minute basis. 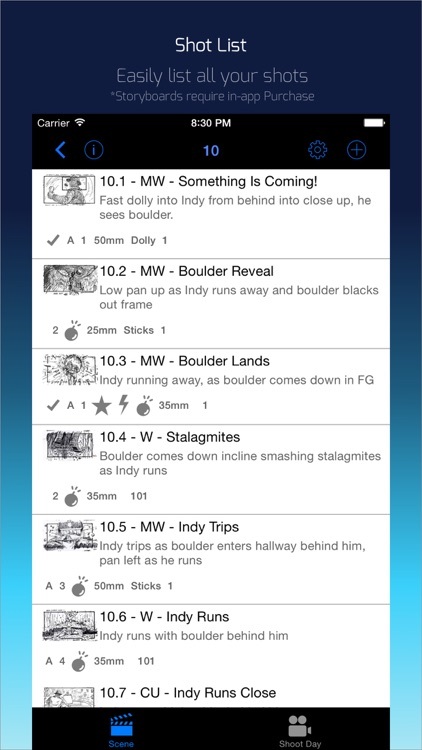 Rearrange scenes in Stripboard view & easily check what is yet to be shot or scheduled. 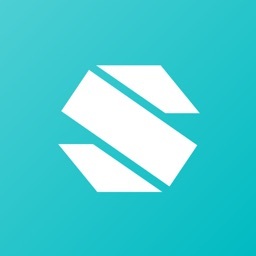 Experience the truly ground breaking “Live” production mode to see exactly how you are doing to the minute & re-organize the day in a matter of seconds. Let Shot Lister show you exactly how many minutes ahead or behind you are. Every project and director is different, customize and order every category to your own needs. Re-name the user category for any specific use, like tracking props or wardrobe. Customize the lens and gear list to fit your package. 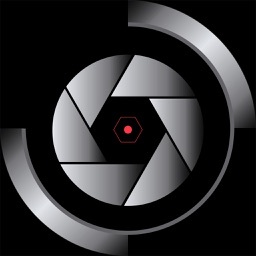 Assign shots to different cameras & group them together to be shot simultaneously. Supports up to 26 cameras. Build shot lists in Excel or Numbers using our website templates then import directly into Shot Lister. Export beautifully formatted PDFs or the entire Shot Lister project file (SHL) via Dropbox or email. Also export a CSV to continue to work on your desktop. Sync your project file with other Shot Lister users. Keep the entire crew up to date live. Also manage crew privileges as "view only" or "view and edit" to share authorship with collaborators. Import Final Draft or Fountain scripts into Shot Lister & let it instantly build a project, generating all the scene meta data & cast list to save time. Convert Celtx to Fountain to import. Add Storyboards to every shot & display full screen in the Storyboard Theatre. View your plan, see which boards are left to be shot in Shooting or Scene order. In the time it takes to tap a finger, circle the best takes & export the data in SHL or PDF.